Christmas came a little early this year for the team here at BUILD. After hearing about, reading about, and touring the headquarters, we made our Christmas wish. And a few weeks ago, we took the plunge to make that wish come true. After carving out a bit of space at BUILD World Headquarters, we made room for the newest, sleekest addition to our robust team. That’s right, we’ve finally joined the ranks of tinkerers and makers out there — we got ourselves a 3-D printer, The MakerBot Replicator 2. Perched on the back counter (alongside the 2-D printers), our BUILDbot’s been pulling its weight in productivity, already pumping out a series of study models for a recent client meeting. The technology of 3-D printing has been around for some time now, but it’s recently reached a remarkably affordable price point (tip: MakerBot is currently selling these units for a mere $1999), and it’s only a matter of time that this tool will be as ubiquitous as the personal computer (we’re anticipating 2014 is going to be the big year for 3-D). As newbies in the maker scene, we’re still deep in the trial and error stage. While we’ve printed a handful of tchotchkes as well as client-ready models, there will be some huge discoveries along the way on how to best use our newest tool as we continue tinkering. 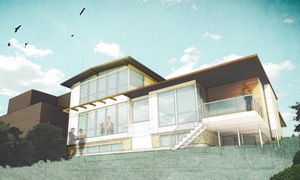 Before getting into the multitudes of software programs out there, we decided to see how it worked with what we were using already: SketchUp. After learning some of the ins and outs of how to properly set up a file to print, installing one simple plug-in for compatibility and downloading the MakerWare software for print set-up, we were all set to go. Lesson: Prints stick to plate and are difficult to remove. Next time, cover the plate painter’s tape, include raft, and allow a bit more room between the nozzle and plate. Lesson: Refined details will not show at a small a scale, so models need to be dumbed down a bit. Opaque filament will provide a more homogenous look (additional opaque spools-black, white, and gray-just arrived last week). Opt-in for supports if the print has overhangs and cantilevers. Lesson: MakerWare’s built-in support option recommended for cantilever and overhangs is heavy-handed and the uni-directional supports result in jagged cuts. Design custom supports within modeling software. To save time/material, reduce infill percentage (5% is manageable). Maximum span without supports is approximately 6′ at 1/16″ scale. Lesson: Adding depth to delicate designs helps overall strength of the final print, translucent filament works best for flat objects. We’re not quite a month in, so this is literally just the beginning. But despite not having mastered anything in the world of makers just yet, we wanted to give you all a peek into the start to our journey. 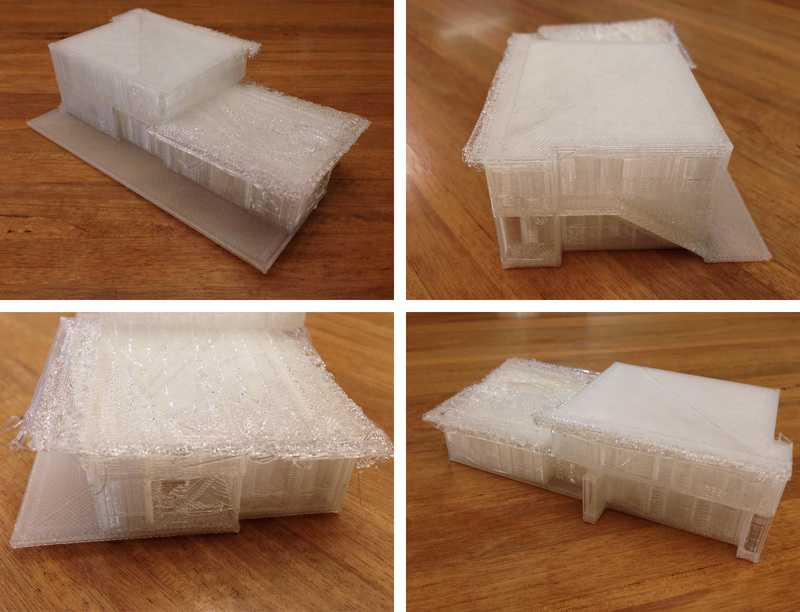 As far as Christmas gifts go, this one really is the gift that keeps on giving (by printing more gifts). We’re excited to try out some other software programs, experiment with all sorts of objects, and test out the full capabilities of BUILDbot. And we’re interested in hearing what other makers out there are up to . Let us know what you’re making, learning, and experimenting with in the comments below. 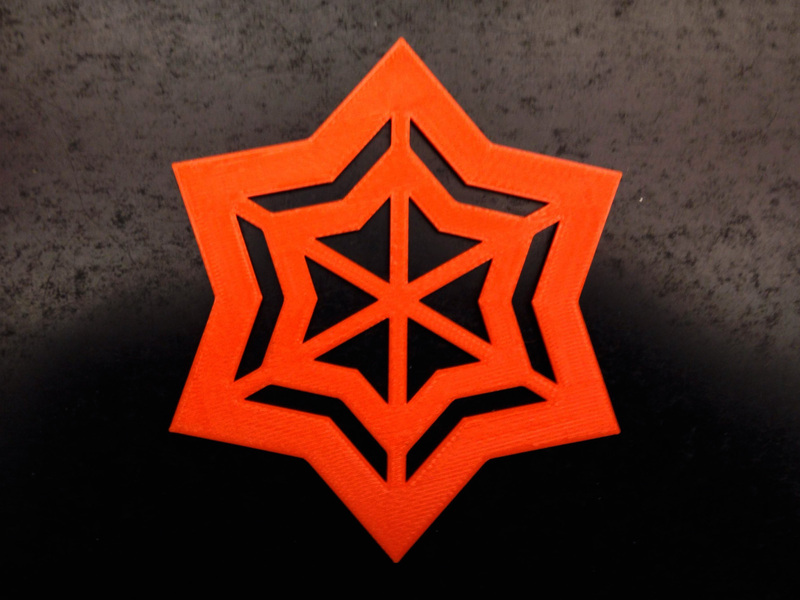 Is the makerbot replacing handmade models at the build office? @ Justin -We’ll continue to also build models by hand. 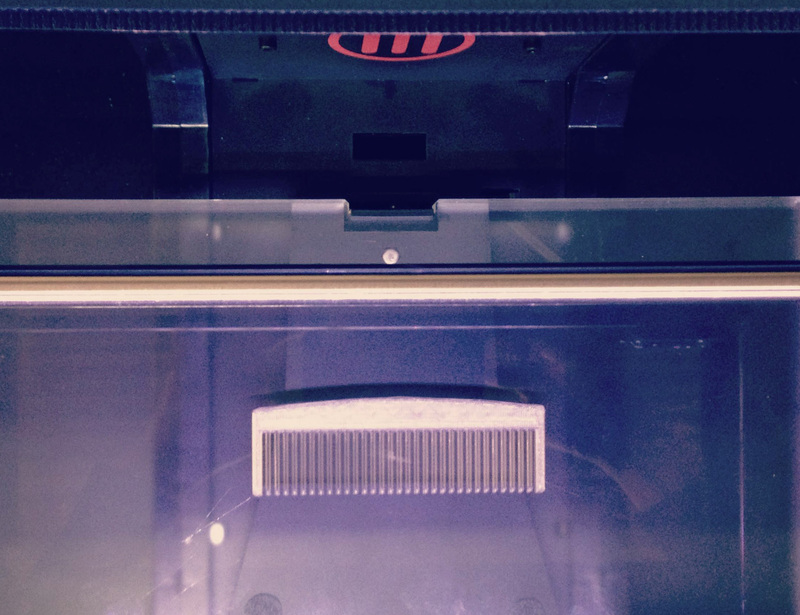 The Makerbot simply gives us another angle to approach design. 2k for a 3D printer is cheaper than I would have imagined. Any idea how long that price will last? What’s the normal price? @ Dave S. -no idea, you’d have to check with Makerbot. How much do the consumables cost? How long does it take to properly set up a model for printing? Aside from the cost of the machine, what does it cost to print a model? Those snowflake ornemants are very interesting. I’ve got a ton of technical questions for you guys about the 3D printer, but what I’m most interested in is whether or not you’re happy with it. Does it seem worth the financial, time and space investment? @ B+ Student -short answer = yes, although we’ve only explored a tiny fraction of what this thing is capable of. Can you get into a little of what made you chose a FDM printer over some of the other technologies? 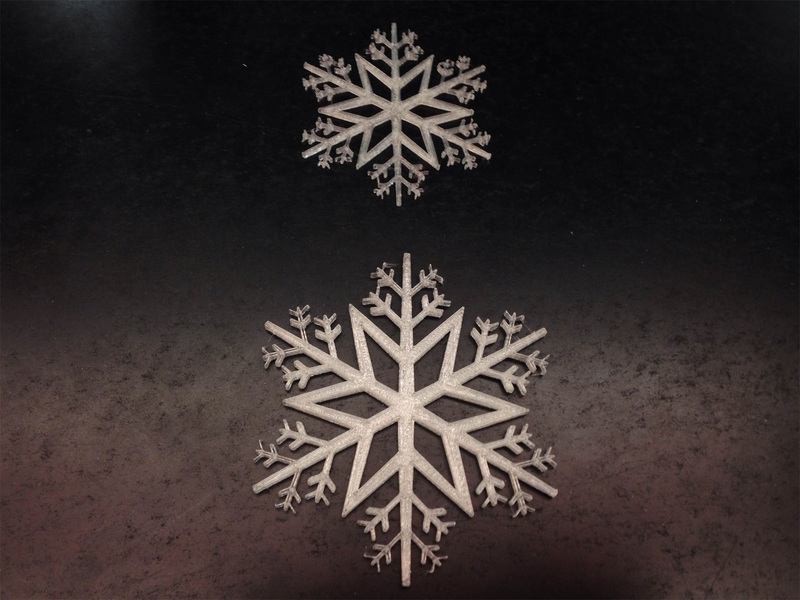 We have sent models out to 3rd party services, and we get higher quality and, more importantly, we spend a lot less time getting the model ready when it goes to a powder, SL, or SLS printer. We don’t do enough of it to justify buying a printer, though we looked real hard at the form 1 and a used z corp.
@ C. Bozzelli -The Makerbot Replicator 2 came recommended to us when we interviewed Smith-Miller + Hawkinson in NYC for ARCADE magazine. SM+H has one in their studio and they highly recommended the technology. 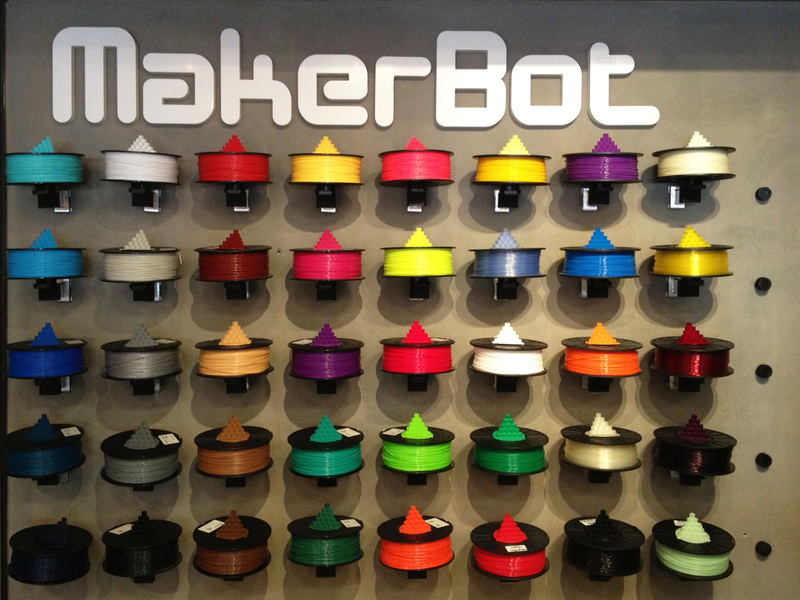 Later we toured the Makerbot showroom in SOHO and we were impressed with the presentation. 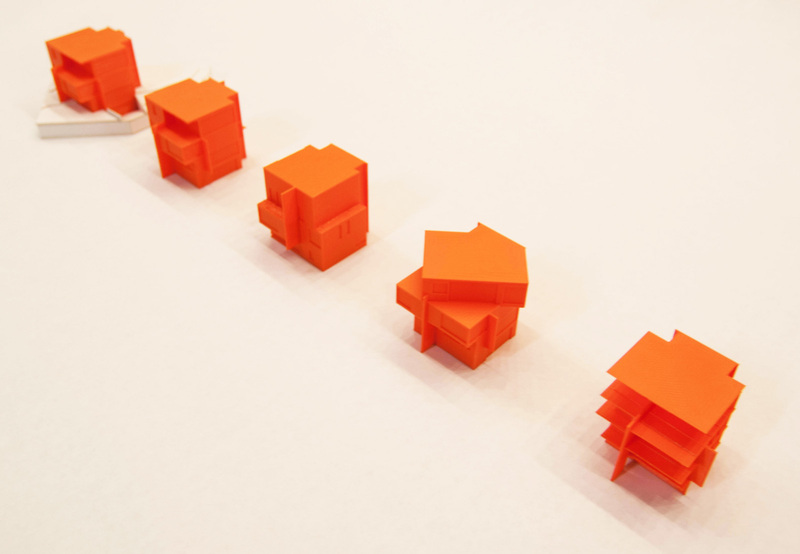 We didn’t make a big research project out of it – it was more about diving into the 3D printing game in general. 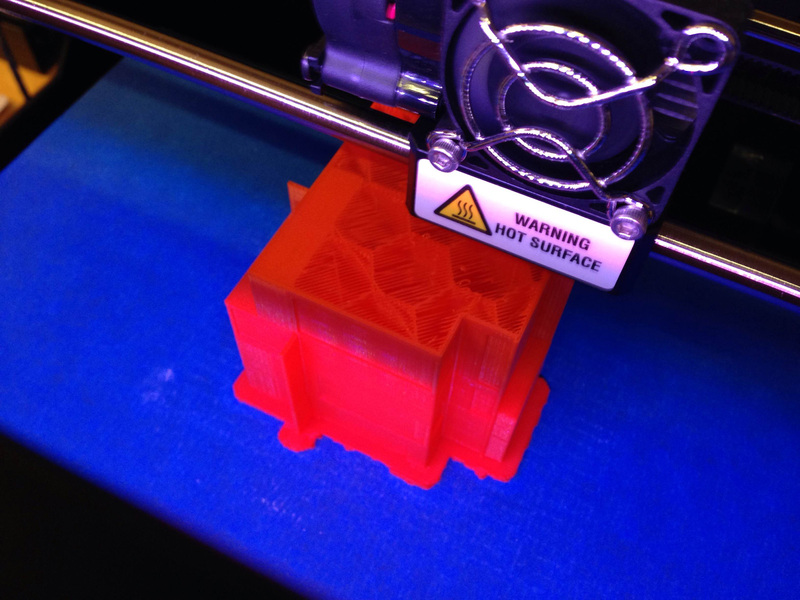 It is nice to have the immediacy of the Makerbot right here in the office – it also makes a nice productive hum in the background as it’s working away. 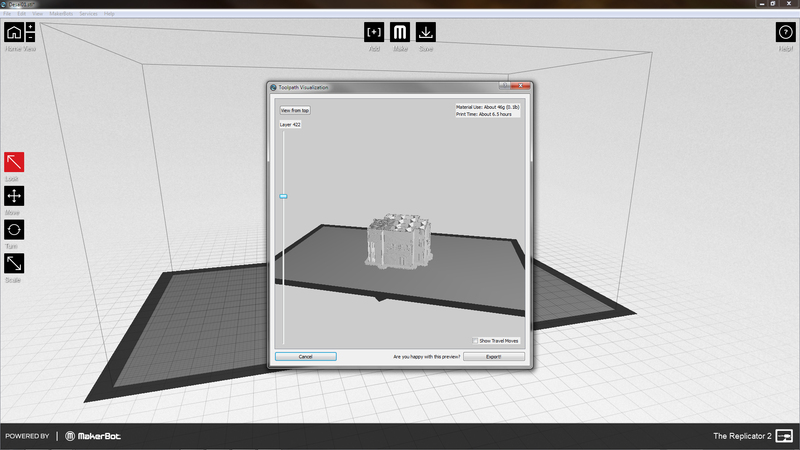 There may be more refined methods of 3D printing on the market but the Makerbot feels like a good first step for us. You guys seem like you vet out most of the techy fads and gizmos out there, so your endorsement of small-scale 3d printing says quite a bit for the technology. thanks for the report!